Have you heard how long it takes to sell a house with a Realtor these days? Some reports show 6 months… And that’s if your house is in good condition! 6 months of showings to picky unqualified buyers. If you need to sell your house in Amarillo that is not the news you want to hear! If that doesn’t sound fun, give us a call. We specialize in buying houses that need to sell quickly, or that need work, or both. We pay cash, close whenever you want, and pay all of the closing costs. When you compare our offer with what you actually walk away from the closing table if you try to sell your house in Amarillo using a Realtor you will be shocked. If your house is in perfect condition, you want top dollar, and you don’t mind waiting for months then a Realtor will work fine. If not, sell your house to us, don’t list it. If you need to sell your house in Amarillo or Canyon call us today at 806-359-SOLD (7653) or visit us online at Sell Your House Amarillo. Sell Your Amarillo House Fast—Should you sell your house to a Real Estate Investor? How can you know when you should sell your Amarillo house to an investor list it with a Realtor? On the other hand, if your house is in a marginal area, or it needs repairs, or you just want to get it sold quickly, then you need sell your Amarillo house to me. You think a Realtor can get you way more money, Right? Well, let’s take a look and see. First of all, the nation average for discounting a home is 5%. Most Realtors are going to charge you 6% to sell your house. You can figure about 1% to pay your own closing costs. You can also count on buyers needing you to pay up to 6% for their closing costs. If you don’t believe me just ask around. That’s the new way the Real Estate market works. Buyers just don’t have the money to pay for their closing costs. So you are losing around 18% to the transactional costs. Then you get hit with a list of repairs from the new buyer. This can add up to some serious money. Even if you don’t pay the full 6% for buyer closing costs and you don’t negotiate the full 5%, you are still going to lose around 15%. And you will sometimes have to wait up to 6 months or longer for your house to sell. If you decide to sell your Amarillo house to an investor like me there are several advantages . You get to pick when they close. Since I pay cash I can close in as little as 3 or 4 days or I can close whenever you want. The timing in a Real Estate transaction can be just as important as the price. I take the house in it’s as is condition. That means that you don’t have to fix or clean anything. I handle all of the paperwork and details. I make things as easy as possible. If you are trying to decide you should give me a call. I would love to visit with you. You can call me at 806-359-7653. Or visit me online at Sell Your Amarillo House. Are Amarillo Real Estate Investors Scam Artists? If I needed to sell my house to an Amarillo Real Estate Investors I have to admit that I would be a little skeptical. And for good reason! It seems like there is always some Real Estate Investor making the news who tried to scam home owner out of their house. It also seems like a lot of Real Estate Investors are, well, for lack of a better word, just plain weird. Considering the fact that your home is probably your biggest asset, it pays to chose wisely when considering Amarillo Real Estate Investors companies! Let me say this… just because someone says they are Amarillo Real Estate Investors doesn’t always mean that they are a legitimate company. I could tell you plenty of stories of people who tried to work with a rookie investor who ended up regretting it! 3. Check with the Amarillo Better Business Bureau. This isn’t always a completely reliable source, but it is still a good place to start. 7. Have a local Amarillo attorney review the contract. It is important to remember that not all Amarillo Real Estate Investors companies are bad. We buy Amarillo houses but we also help people. Sometimes we advise people to do something besides selling us their house. That usually surprises them, but that’s just how we do it. We have to live and work here in Amarillo with the same people we help. We are very much a local company. People can stop by our office for a cup of coffee anytime. But the bottom line is that we do what we say we will do and our deals close on time. That’s why we are still in business. If you are looking for legitimate Amarillo Real Estate Investors give me a call. I would love to visit with you about your house. You can call me at 806-359-7653 or visit my website at Amarillo Real Estate Investors. Sell my house Amarillo TX | How long does it take to sell a house in Amarillo TX? This has to be the question that I am most often asked. How long does it take to sell my house in Amarillo TX? Well first off, that is just about impossible to answer. Not all houses are the same. It depends on the area, condition of the house, time of year, marketing, and on and on. Most reports that I am looking at show about 3-6 months. That is if you are listing with a Realtor and your house is in good condition. If you have a house that needs repairs it may take a very long time to sell. A house like that will take about 6 months to sell. So what if you can’t wait 3-6 months or longer? What if you need to sell your house in Amarillo or Canyon this week? If that is the case then give us a call. We specialize in buying houses that need to be sold quickly, or that need work, or both. We pay cash, close whenever you want, and pay the closing costs. You don’t have to fix anything or clean anything. It is very easy. When you compare our offer with what you actually walk away from the closing table using a Realtor you will be shocked. If you need to sell your Amarillo house this week give us a call at 806-359-7653 or visit us online at Sell My House Amarillo TX. Amarillo Real Estate Investors Con Artists? Amarillo Real Estate Investors work with smaller profit margins than most other retail businesses. Most houses are purchased by investors for around 70-75% of value. Then they spend money rehabbing the property. They also have to pay taxes, insurance, and make payments until the property sells. When it sells they will usually end up paying most of the new buyer’s closing costs plus a 6% Realtor commission. They will also have their own closing costs to pay. When all the dust settles, most Amarillo Real Estate Investors will end up making around 5-10% on the total deal. This is not a very good return when you consider the tremendous amount of risk that is involved. Realtors make 6% and have no risk. Most retail stores have between a 30% and 50% mark up, if not more. Car dealers buy your trade in for $10,000 and sell it for $14,000. These margins are much better than the margins that Amarillo Real Estate Investors work with. Price is not the only thing to consider in a transaction. Think about a convenience store. You pay more for items in a convenience store then you do in a grocery store, but you can get what you need right now! People always pay more for convenience. People will knowingly accept less for their house if they can have their money in 3 days instead of 3 months. The same applies to someone who is trades their vehicle to the dealer instead of selling it on their own. Each person sells for his or her own reasons. Sometimes convenience or timing can be more important than price. That’s why many people sell to Amarillo Real Estate Investors. 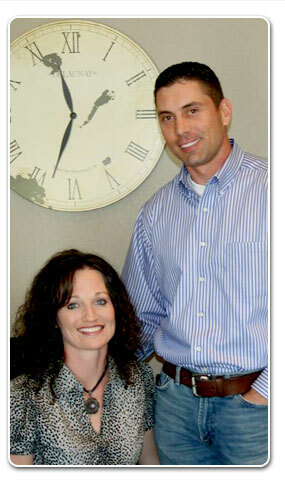 Amarillo Real Estate Investors help the economy and provide an invaluable service to the community. They buy houses that are not desirable. They remodel these houses, increase the value, and sell them. By transforming these run-down houses they increase the value of the entire neighborhood. This is a good thing, especially if you live next door to the distressed house. In many blue collar neighborhoods Amarillo Real Estate Investors account for a huge portion of the houses that are sold. So the bottom line is that Amarillo Real Estate Investors increase home values and sell lots of houses. According to the National Association of Realtors, two jobs are created for every house that is sold. Every house that is sold pumps nearly $60,000 into the economy. Amarillo Real Estate Investors help drive the housing market. Amarillo Real Estate Investors provide affordable housing. If it weren’t for these investors there would be no rent houses. Imagine that… a world without rentals. There are a lot of people who would be in trouble. I mean, who hasn’t lived in a rent house at one time or another. Every month I get calls from people who live in small towns where there are no Real Estate Investors. These people are desperate for someone to buy their house. Their house is in such bad condition that it cannot be sold to a home owner. Unfortunately I can’t help them. Most critics of Amarillo Real Estate Investors forget that not everyone has a house in a good neighborhood that is in perfect condition. Not everyone can wait for six months for their house to sell. Most critics have never faced foreclosure, loss of income, bankruptcy, or divorce. They have never walked in the shoes of people who are facing desperate situations. Thank goodness there are a few good Amarillo Real Estate Investors! Our phones have been ringing a lot more than usual lately. Why are people looking for an Amarillo Home Buyer? The Real Estate market has slowed down. It is so much harder to get a loan. This hurts the market for obvious reasons. The problem is not that a house won’t sell, because it will, it is just taking longer and sells for less. It has to be in better condition and marketed properly. Also, I think a lot of people are still on the fence. Maybe they want to see what the economy is going to do. They just aren’t ready to pull the trigger and buy a home. People are tired of using Realtors. The best Realtor in the world can’t guarantee that your house will sell. Most Realtors do a good job. It just takes them several months to get your house sold. Sometimes it is because they are not marketing the property correctly or following up on showings. Other times it has nothing to do with the Realtor. When you use a Realtor you can count on multiple showings. Some people don’t want to keep their house neat and clean at all times. Most Realtors will want you to make repairs before they take on the listing. For some people this is just not an option. People can’t afford their property. Many people have no idea just how expensive it can be to own a home. First you have your house payment, then property taxes (which are just about due), and then you have insurance. These are the big three. But don’t forget about maintenance! It just flat out costs a lot of money to keep a house up and running. Things break and need to be repaired. All of these things add up. When I get calls from people looking for an Amarillo Home Buyer, I know what they are thinking… They think I am just trying to steal their home. But that’s just not the case. I do the combined job of both a Realtor and a General Contractor, but the big difference is that I am a buyer, and they are a Realtor. I buy it, they list it and hope for a buyer. When you compare my offer with what you would actually walk away with using a Realtor, you will see that I am actually a pretty aggressive buyer! Especially if your home needs some work. You are currently browsing the Mitchell Property Group blog archives for January, 2012.